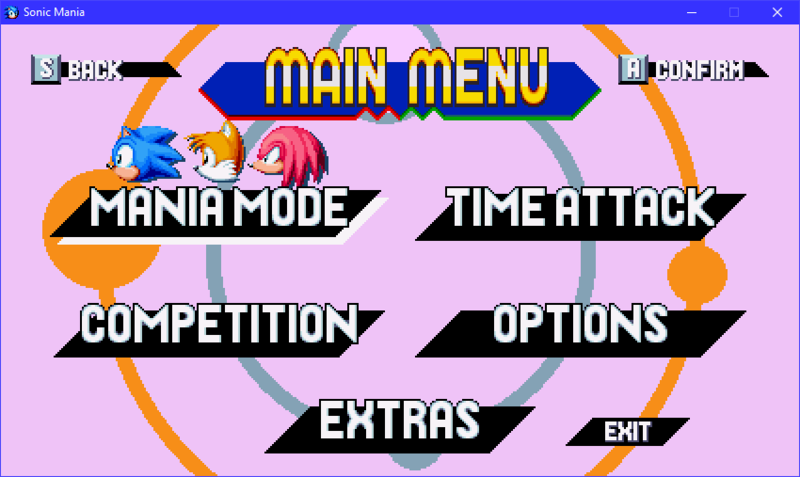 Are you tired of the already old Mania menus? Have no frustration! This tutorial will help you on how to edit the menus to the way you wanted it to be! 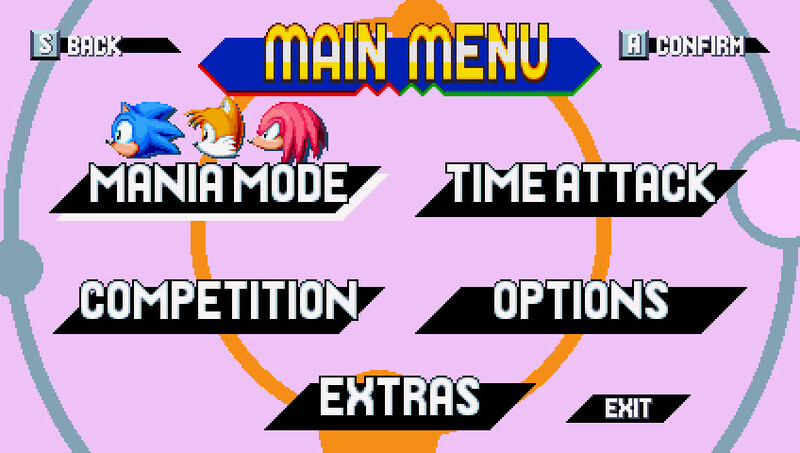 In Sonic Mania, the palettes for the menu backgrounds are not stored in regular "Sprites" nor "Stages" folder. Instead, the palette is stored in a object file! Luckily, we can still edit the files by using a hex editor. Step 2: Load a file named "BD3DF348C7BC63FF3F5529F2E33F9CFE.bin"
Step 3: Edit away ~! I can't find Objects in the data folder. Also worth noting is that Circle 1 (orange in the screenshots) is underneath Circle 2 (bluish gray in the screenshots). Is there a tutorial on how to edit the main menu to change its layout and add custom images?